Holy Water, Rosaries, Scapulars, Crucifixes, but... salt? Yes, surprisingly to many, a powerful yet forgotten sacramental exists which is none other than Blessed Salt. A few weeks ago I visited a parish that actually had containers of salt near the front door that were blessed. They asked for a very minimal donation of only 40 cents per 26 oz Iodized Salt container like you would find at the grocery store. They noted on the top of the salt containers that they were all blessed by the priest with the special blessing reserved for salt. I happily picked up one, made a donation, and parceled it out to several people in small containers. 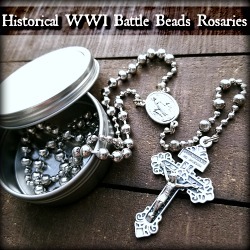 Blessed Salt is a Sacramental that needs to make a comeback in the Church. In fact, I see very few traditional Catholic parishes that even make it available. God's creature, salt, I cast out the demon from you by the living + God, by the true + God, by the holy + God, by God who ordered you to be thrown into the water- spring by Eliseus to heal it of its barrenness. May you be a purified salt, a means of health for those who believe, a medicine for body and soul for all who make use of you. May all evil fancies of the foul fiend, his malice and cunning, be driven afar from the place where you are sprinkled. And let every unclean spirit be repulsed by Him who is coming to judge both the living and the dead and the world by fire. Almighty everlasting God, we humbly appeal to your mercy and goodness to graciously bless + this creature, salt, which you have given for mankind's use. May all who use it find in it a remedy for body and mind. And may everything that it touches or sprinkles be freed from uncleanness and any influence of the evil spirit; through Christ our Lord. Why was it done? The practice of putting salt into the water comes no doubt from the incident of the miraculous cure of the poisonous well (see 4 Kings 2.19-21), where the prophet Eliseus used salt to purify the water of the well. 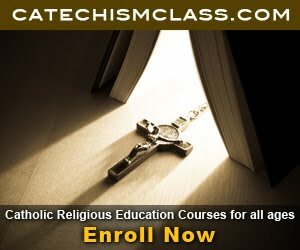 While unlike Sacraments, the number of Sacramentals can be increased or decreased by the Church. And unlike Sacraments which give actual grace, the Sacramentals do not give grace in and of themselves. As the Baltimore Catechism explained: "The Sacramentals of themselves do not remit venial sins, but they move us to truer devotion, to greater love for God and greater sorrow for our sins, and this devotion, love, and sorrow bring us grace, and the grace remits venial sins." And furthermore, the Catechism states, "The difference between the Sacraments and the Sacramentals is: 1. The Sacraments were instituted by Jesus Christ and the Sacramentals were instituted by the Church; 2. The Sacraments give grace of themselves when we place no obstacle in the way; 3. 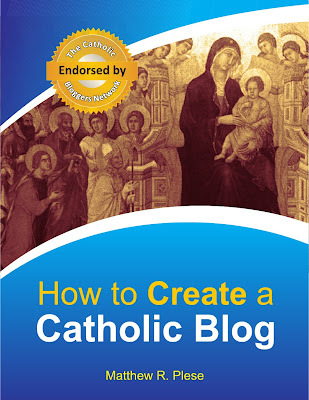 The Sacramentals excite in us pious dispositions, by means of which we may obtain grace." The laity are certainly permitted to use exorcized salt or any other sacramental that the Church has for their disposition. 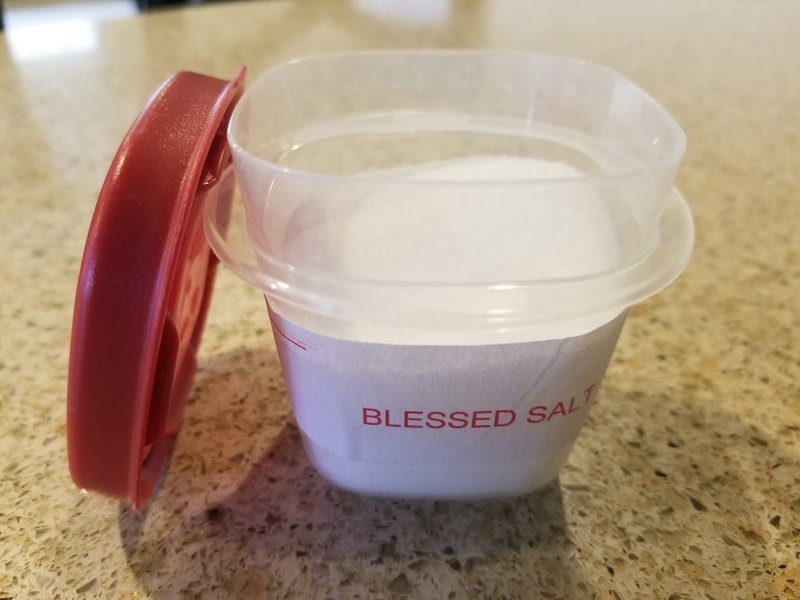 To those who have blessed salt, it is recommended to keep it in a separate container marked as "Blessed Salt" so as not to mix it up with the other salt in the home. And when it is used, it is not a magic weapon - it should be used with reverence and while saying a short prayer to ask for grace from Almighty God. The laity can sprinkle the blessed salt in small amounts on their property, throughout their neighbor, at the threshold of their door praying against the threat of burglary, or use it in their cooking too - all while doing so in a prayerful manner. 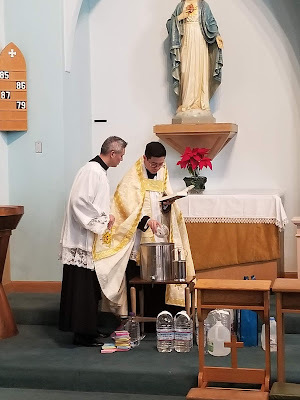 So ask your priest to pick up a copy of the Rituale Romanum and provide for you and your parish this treasure - the forgotten sacramental of Blessed Salt. I am actually hearing this for the first time. There are a lot about the church that seems hidden. I have a jar of blessed salt and I actually use it for some baking / cooking. If my family are coming for dinner and a recipe calls for salt I used Blessed Salt. I pray for them to convert from atheism and I figure every little bit helps protect them. Not hidden.... we as catholics or otherwise are just ignorant of these facts.